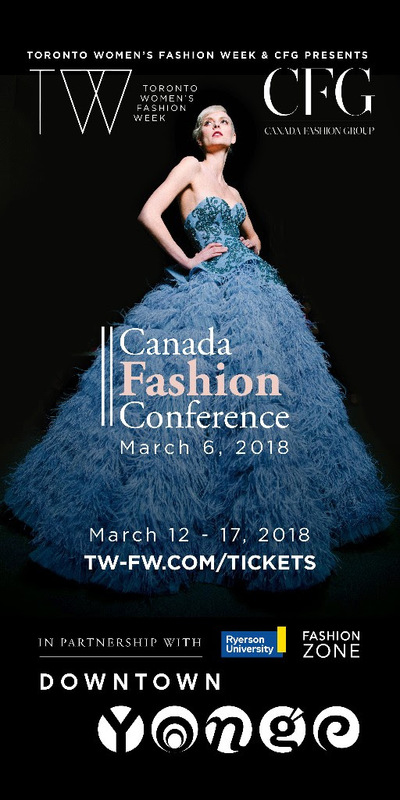 1 or 3 Day Pass to Canada's most influential platform for womenswear, Or elevate your purchase to a 1 Day Pass with FRONT ROW ACCESS - a front row 1 Day Pass, while limited quantities last. Runway shows from March 12 to 14. CANADA: THE FASHION WEEK CAPITAL OF OUTERWEAR IN THE WORLD! With outerwear being one of Canada's hottest exports, Toronto Women's Fashion Week puts a much deserved spotlight on the country's most notable and up-and-coming Canadian outerwear designers and brands. From Rudsak to Joseph Tassoni to Pascal Labelle, CFG aims to solidify Canada as fashion's outerwear destination. “With over 9 months of winter here in Canada, it makes absolute sense that our designers are leading the way in the world of outerwear design. Just like Miami Fashion Week is to swimwear, the world will be flocking to Toronto when it comes to the latest innovations and trends in outer and winter wear.”, says Jeff Rustia, Founder and CEO of CFG, and Executive Director of both TOM* and TW. CFG is proud to present the first ever Canada Fashion Conference, in partnership with Downtown Yonge BIA and Ryerson Fashion Zone. This exciting event will showcase a half-day of workshops, presentations, panel talks and Q&A's with influential members of the Canadian fashion industry. Look out for tickets on sale soon! 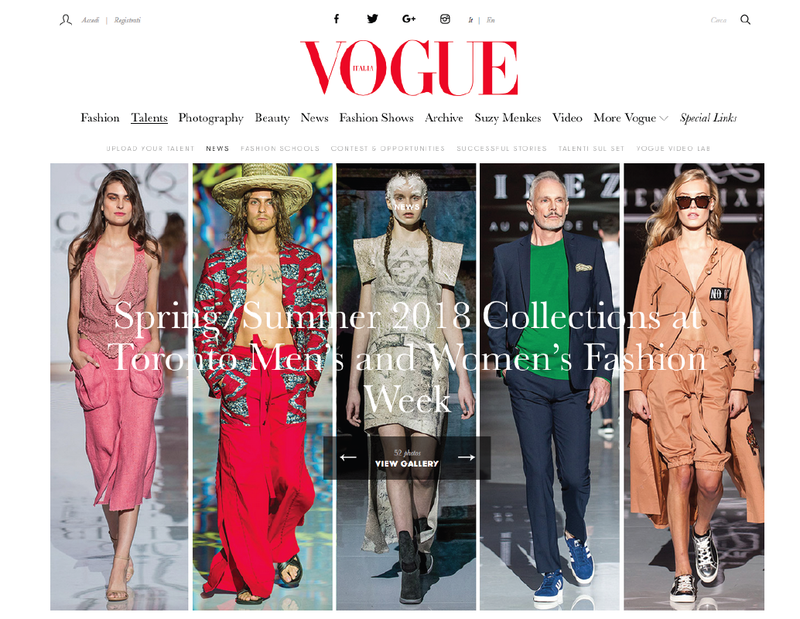 Returning for another season, Vogue Italia will be attending and covering Toronto Women's Fashion Week, exposing Canadian fashion to over 4.7 million fans of Vogue Italia. CANADIAN FASHION - SEEN ALL OVER THE WORLD! For the first time ever, the TW runway shows will be seen globally through Fashion Television (FTV) based in Paris. The program will be aired in countries all over the world from France, Brazil, Italy, Japan, Australia, and China to over 400 million international viewers. Live fashion illustration on the runway of Toronto Women's Fashion Week! 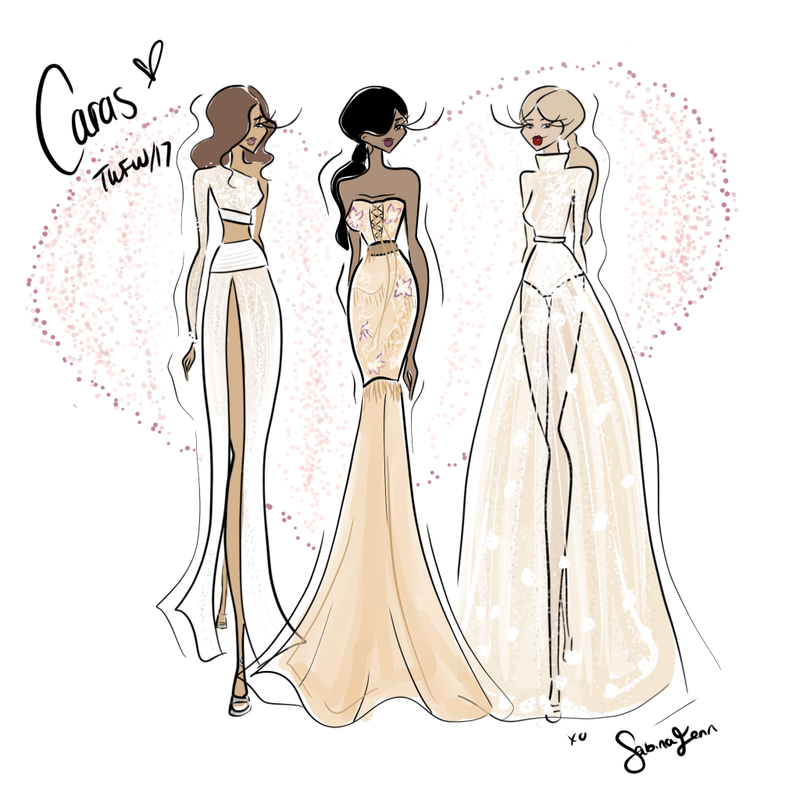 Sabina Fenn has been announced as the official Fashion Illustrator of TW. Catch her front row as she illustrates beautiful designer looks as they come down the runway. Check her out at sabinafenn.net or @sabinafenn on social media.